Why Pokémon Stars for Switch Likely Isn't Coming Anytime Soon | Nerd Much? As I begin writing this, it’s still morning on the East Coast. The date is Tuesday, June 6th, and people are not happy. Yesterday, a Pokémon Direct was announced by Nintendo which was set to take place today. Take place it did – and it hasn’t gone over as well as we hoped. Since November, rumors were abound that Game Freak was developing a mainline Pokémon entry for the Nintendo Switch. 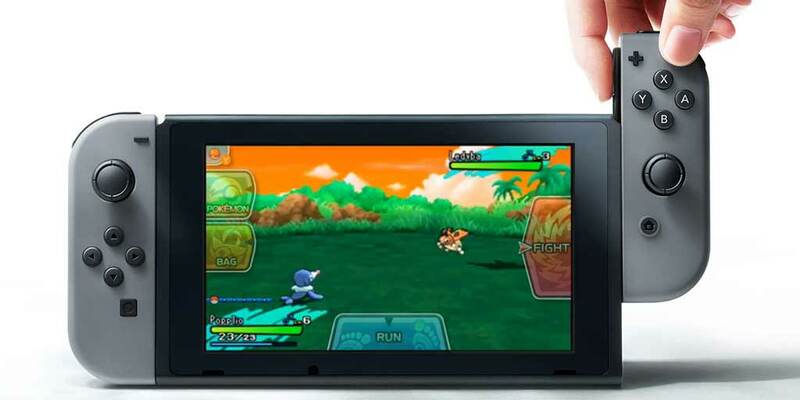 Fresh off the release of Pokémon Sun and Pokémon Moon, reports suggested the Switch would be the home for Pokémon Stars. The typically inevitable 3rd entry in that generation of Pokémon games. Pokémon Stars would be like the Yellow to Pokémon Red and Pokémon Blue. 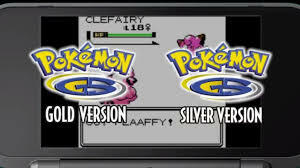 The Crystal to Pokémon Gold and Silver. The Platinum to Diamond and Pearl. You get the point. But this time rumors speculated that Stars would be bringing it to home consoles. On to Nintendo’s hot to the point they can’t keep up with demand, flagship console. With the declaration that Pokémon would be getting its own news Direct (albeit one that was only 8 minutes long), Pokémon fans across the world took to sites like Twitter and Reddit to rejoice. It was time. We were finally going to get the big reveal that a core Pokémon title was coming to Nintendo home console. 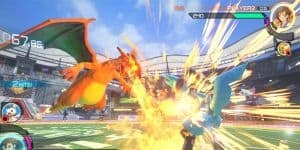 Pokkén Tournament Deluxe? Pokkén Tournament Deluxe?! 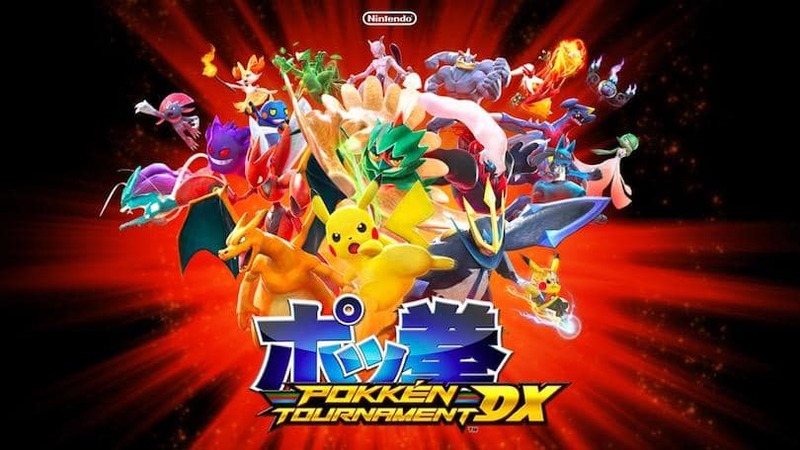 Yes, Pokkén Tournament Deluxe. This was actually hypothesized by quite a few people yesterday as fans bantered ideas for the Direct back and forth. It was said in jest for the most part. A pessimistic thought on the possible ways that Nintendo could let its passionate Switch fan base down. Nintendo delivered. To further alienate fans that were hoping for big Pokémon news on Switch (and not just another “Deluxe” game), The Pokémon Company announced the existence of Pokémon Ultra Sun and Pokémon Ultra Moon – for Nintendo 3DS. These were exactly what fans were hoping Pokémon Stars would be. Just on the wrong system. It was infuriating to Switch owners hoping for the franchise to make a leap to consoles. Nintendo and The Pokémon Company weren’t done though. After the reveal of Ultra Sun and Ultra Moon, it was announced that Pokémon Gold and Pokémon Silver would be available via the Virtual Console/Nintendo eShop in September. Again – for Nintendo 3DS. Switch owners couldn’t catch a break – unless you’re into rereleased Wii U games. You Want Pokémon on Switch!? You Can’t Handle Pokémon on Switch!! It’s no one’s fault but our own that we were hyped for Pokémon Stars. A game that has never been acknowledged to exist by Game Freak, The Pokémon Company or Nintendo. Never has a mainline Pokémon game released for a Nintendo home console, so until it was official it should never had been expected. September 22nd – Pokkén Tournament Deluxe for Nintendo Switch. September 22nd – Pokémon Gold and Pokémon Silver for Nintendo 3DS. November 17th – Pokémon Ultra Sun and Pokémon Ultra Moon for Nintendo 3DS. And let’s not forget that Super Mario Odyssey is going to get an end of the year Holiday release as well. Do you foresee Nintendo cramming something like Pokémon Stars in with all these other titles? Stars would need a huge window by itself for the amount of attention it would garner. Nintendo wouldn’t put it anywhere near Mario, nor the 3DS Pokémon games. A Switch Pokémon title in the same setting would cannibalize 3DS sales. In fact, the existence of Pokémon Ultra Sun and Pokémon Ultra Moon pretty much tells me that Pokémon Stars doesn’t exist. Why would it at this point? It would be the fifth game in the Alola setting. It would be pretty damn tired at that point. Game Freak would need to do something different for Switch. And it looks like they may be doing just that. We know Game Freak is developing something for Nintendo’s home/portable hybrid. Back in March it was widely reported that they were hiring someone specifically to help work on 3D models for a “Worldwide Popular RPG.” Ring any bells? It’s not that Game Freak isn’t ready to put a main Pokémon game on the Switch. It’s that the Switch isn’t ready for a main Pokémon game. Pokémon sells. The Switch, while doing incredibly well, can’t keep up with demand. And thus, the install base has plenty of room to grow. In just over six months, Sun and Moon have sold over 15 million copies. While Nintendo is just hoping to hit around 15 million Switch’s sold within the conclusion of its first fiscal year (March). It just makes sense to hold something as big as a fully fledged Pokémon game on the Switch until the system gets into more hands. Because again – Pokémon sells. The writing is on the wall for the Nintendo 3DS. It’s on its way out. But it makes more sense for Game Freak to reuse assets from Sun and Moon at this point. They can essentially release the sequels that are Ultra Sun and Ultra Moon within a year of their predecessors – before the 3DS becomes officially out of vogue. Get it into the hands of the 66 million plus 3DS owners instead of 15 million Switch owners. The main series will be coming to the Switch, and that game is likely in development as we speak. Because holding back whatever “Pokémon Stars” actually is isn’t a slight to Switch fans. It’s just smart business.